Director at Nature & Development Foundation (NDF), Mustapha Seidu has accused government of contributing to illegal logging in the country by buying illegal logged timber from the market. According to him, government has over the years been inadvertently using the taxpayer’s money to purchase illegal logged timber. 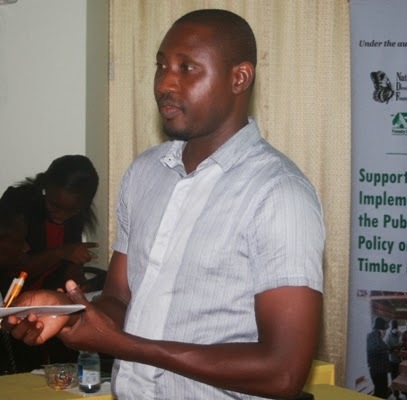 Mr Seidu, who was speaking at a workshop organized to train district procurement officers on how to procure legal timber products, stated that as part efforts to address the problems, government was implementing the Public Procurement Policy on Timber and Timber Products in Ghana. “This policy is not about trying to prevent people from getting their livelihood. The implementation of the policy is one of the efforts of government to actually sanitize the domestic timber market because government is inadvertently contributing to illegal logging by buying the illegal logged timber. If you buy illegal timber and at the same time you go to the bush and chase illegal timber loggers, then you are actually not helping the situation,” he said. The timber procurement policy was developed by the Forestry Commission with the help of NDF and Sebastian Jerry Ackotia, a consultant for the commission. The policy is expected to be laid before Parliament. In an address, Mr Ackotia disclosed that the workshop was to help procurement officers understand their responsibilities under the policy to ensure that they procure wood products from legal sources. “With this policy, illegal logging of timber would definitely reduce. It will not be encouraged at all because all along, most of the procurement that government does on wood products are from illegal sources. We haven’t put in any particular measures to prevent the illegal wood products from entering the government procurement system. But with this policy, the procurement officers are being shown how to attract legal timber. Certain documentations would be required of the service providers,” he said. He added that under the policy, procurement officers, as well as Ghanaians who go on the market to purchase wood, would have to inspect the seller’s document. Sellers must have registered with the Timber Industry Development Division (TIDD) of the Forestry Commission.